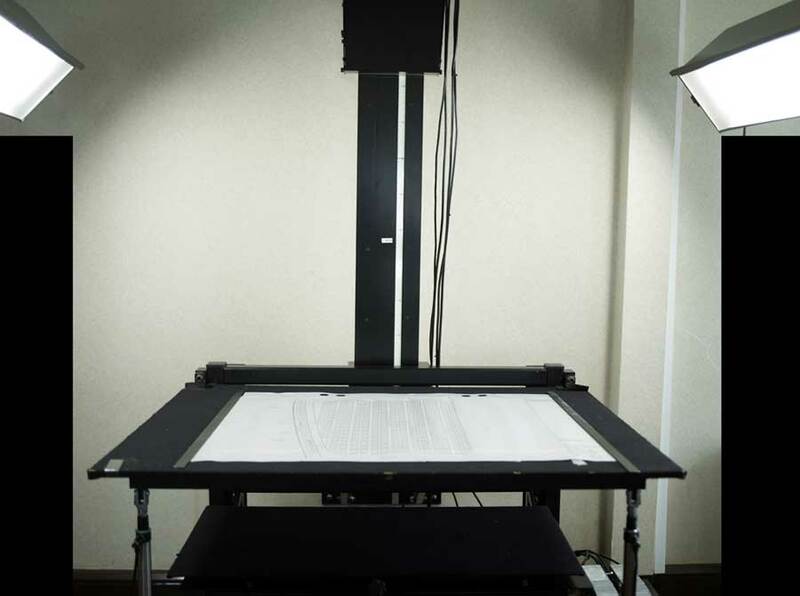 Our specialist large format digitisation equipment is able to scan all manner of oversize archive material, ranging in size from A1 (84cm x 59cm) up to approximately 1.5 x A0 (150cm x 100cm). 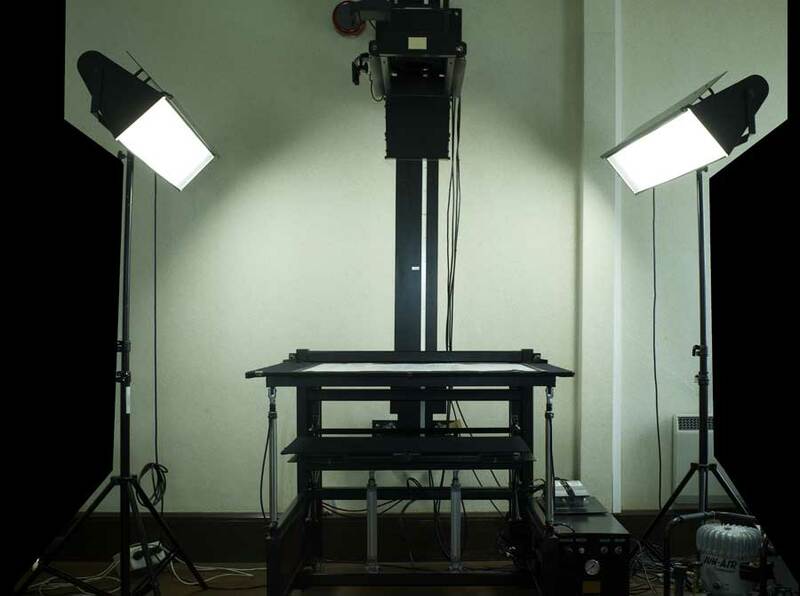 What Large Format media are we capable of digitising? 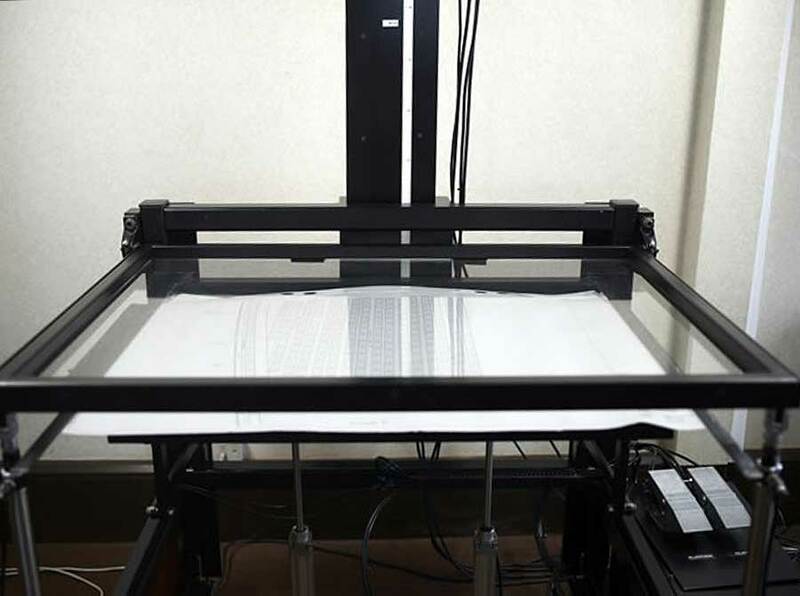 This equipment is capable of scanning all manner of large materials from paper to board, from canvas to textiles. It can digitise items of any thickness too. We are happy to travel to your premises to carry out the digitisation as part of our on site scanning service. We will generally produce image files at 300 DPI in TIFF and JPEG formats, although we can produce other file formats such as PDF, PDF/A, JPEG 2000, BMP etc. Images can be produced in full colour or greyscale and we can enhance or graphically restore them too. We can supply our PastView software to view and attach metadata to the digital images. This software is web based which means you can access it from anywhere that has an internet connection. Find out more about our TWA PastView collections management system. If you are interested in displaying your images online for the public to view then we can build websites or web pages (that sit within your existing website) that incorporate search engines and payment gateways so that the public can find and then pay for your images to be downloaded. Find out more about our archive software and website design service. We never use roll-feed equipment. All of our equipment is flatbed. Why? The historical items that we handle are often fragile and deteriorating. Using flat-bed equipment ensures that no physical contact is made with the original which eliminates the risk of further damage. Flatbed equipment also ensures that we can digitise almost any kind of material including paper, board, tiles, wood, textile, canvas, bound books etc. We use a gantry system to raise and lower the head which means that we are not restricted as to the physical thickness of the media being digitised – the media can be as thin as a postage stamp or as thick as an Oak Tree! Using a gantry system also allows us to raise the head as high as we need to in order to capture the full media beneath – this has allowed us to capture documents at around 1.5 x A0 in size without any need for stitching (graphically combining two images together to make one image). Furthermore we only use high frequency, diffused and non heat producing LED lighting – thus further minimising any risk of damage to the precious originals. If you would like to learn more about our services or request a free quotations, please feel free to contact us.